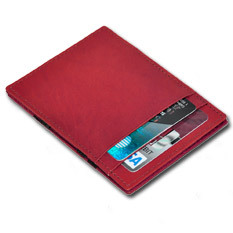 The Original Magic Wallet is the most popular model that we designed and started selling in Europe in the early eighties. 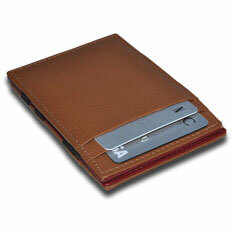 Our concept was derived from the larger magic wallet models waiters used to carry their change in the 1920's. 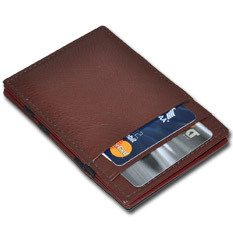 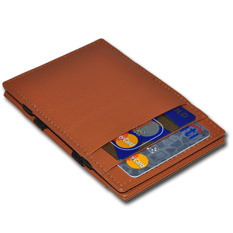 Over the years we have perfected the design to bring you a thin 100% high quality leather magic wallet. 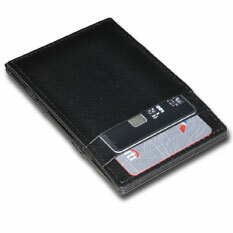 Available in different colors, with or without the ID window, this is the best wallet you will ever own. 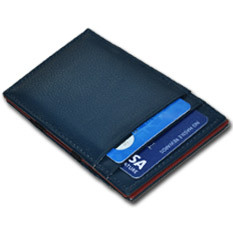 We use durable elastic straps for the magic wallet contraption.